When Roger Moore signed on to become a dealer for Axopar Boats two years ago, he had little idea what he was getting into. “We didn’t have much awareness of the brand,” Moore says. Two years later, he has two words to describe the experience: mind-boggling. 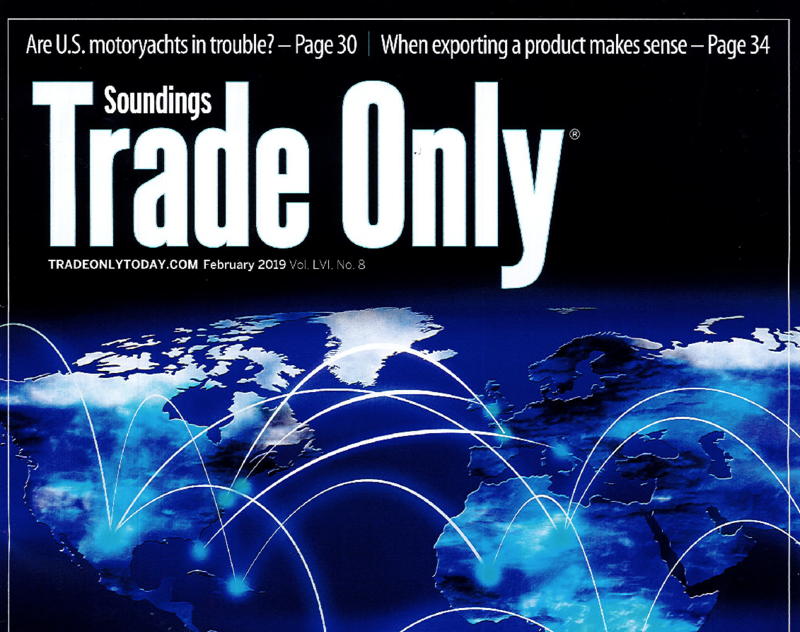 Moore founded Nautical Ventures in 2013 in the highly competitive South Florida market. He signed with several strong domestic brands, including Century, Blackfin and Glastron, but didn’t have the luxury of cherry-picking others because many had been represented long before he opened his retail showrooms in Broward and North Palm Beach. Axopar seemed like it would be worth the risk. The brand was established in 2013 by a group of entrepreneurs in Finland with a successful boatbuilding history. The group’s previous brands, Aquador, XO Boats and Paragon, had been successful, so they decided to combine the first few letters of each name to come up with Axopar. Axopar established itself quickly across Europe. Its 24-, 28- and 37-foot offshore models were distinctive. The center console designs were unusual for Europe, with plumb bows, stepped hulls and outboard power. 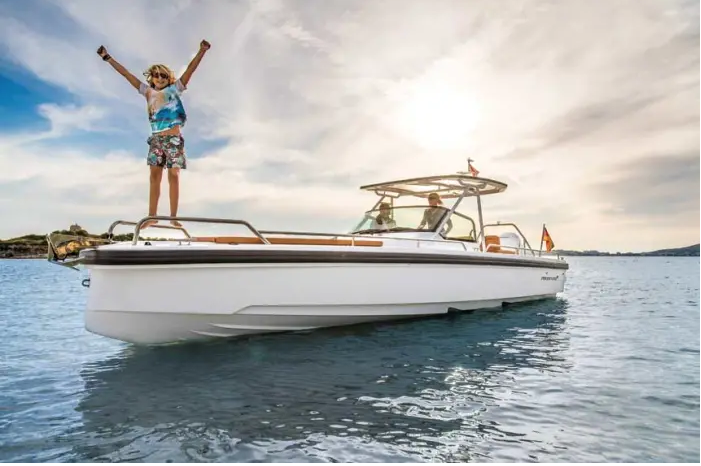 To save labor costs, the company decided to build the boats in Poland at the same facility where Brunswick has its Bayliner and Sea Ray models produced for the European market. Axopar also instituted a modular approach, with lightweight parts that could be reproduced on the three models. Instant success: With 270 boats sold in three years, Axopar could be the fastest-growing boat line ever imported into the United States. Axopar Initially, the dealer and builder had differences regarding warranty payments; some dealer territories also overlapped in South Florida. Moore notes that since the boats are built in and shipped from Poland, he cannot obtain floorplan financing. Axopar also sells out of its production slots on the first day of the new model year, so dealers have to buy into slots immediately or risk losing sales. That results in a big cash outlay, but Moore says sales are have been so strong it’s worth the investment. Nautical Ventures is also the only U.S. dealer to stock the Brabus Shadow 800, a limited-edition Axopar modified by Brabus, the German engineering company that tweaks top-end auto brands such as Mercedes-Benz to gain top performance. The 800 has high-end features that include Brabus leather upholstery, a touchscreen control panel for the cabin, 400-hp Mercury Racing engines, joystick controls and a special entertainment center.With such strong sales, Axopar could reasonably claim to be one of the most instantly successful brands ever imported into the United States. Moore says the boats’ competitive price tags and low depreciation values, bolstered by high demand for scarce used products, have made Axopar his best-selling brand.